I’ve been down with a knee injury for a number of weeks but it’s allowed me to watch some movies on my Netflix list, the kind of movies that my wife would have zero interest in! Three of them were subtitled; the original’s being in Russian (The Ninth Company), Spanish (Cinco de Mayo: La Batatlla) and French (Intimate Enemies). I’ve already discussed The Ninth Company on this blog so I’ll just deal with the other two. 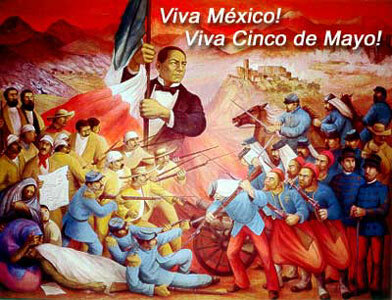 Cinco de Mayo: La Batalla translates to The Battle of the Fifth of May. The battle, also called The Battle of Puebla occurred on May 5th, 1862. A poorly armed Mexican Army of around 4,500 men defeated a larger French Army of 8,000 (estimates for the French Army vary between 6,500 and 8,000). It was an unlikely victory engineered by Mexican General Ignazio Zaragoza Sequin who held a fortified position outside the town of Puebla. The French, over-confident and in the movie led by an arrogant Count with long flowing hair attacked and were badly beaten in a counter attack launched by Sequin. The 5th of May is celebrated among some Mexicans and Mexican Americans but is not a national holiday in Mexico. The battle was fought toward the start of the Franco-Mexican War of 1861-1868. The catalyst for the war was that Mexico was broke and heavily indebted to England, France and Spain. Since Mexico achieved independence from Spain in 1821 it had fought at least three wars including a disastrous one against the US. The wars left the country bankrupt. The Mexican President Benito Juarez declared a suspension of payments for two years. The European powers reacted by sending a fleet to Veracruz to collect the debts one way or the other. 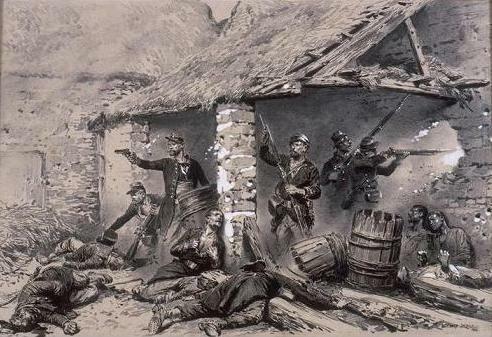 The Battle of Camerone was fought in 1863 during the French intervention in Mexico. At Camerone a French Foreign Legion Company held off a large force of Mexicans before being over run. All but two died. The battle is still celebrated by the Legion today. The English and Spanish were willing to negotiate but the French were not. Napoleon III of France had ambitions for a French-Latin American Empire and allied himself with Mexican forces hostile to Juarez. The United States favored Juarez but was unable to intervene because of our own Civil War. The French Army was to move to Mexico City to install a new government but was stopped at The Battle of the Puebla. The victory was short-lived as the French landed another 30,000 men, took Mexico City and installed Maximilian I as Emperor in 1864. The whole nasty business turned out to be a disaster for the French who faced an insurgency and guerrilla warfare from 1864 through 1867. When the US Civil War ended in 1865 the US became more aggressive toward the French (the Monroe Doctrine) and actively supported the Mexican rebels. An army under General William Tecumseh Sherman assembled in Texas as a show of strength. By 1866 the French were in full retreat and began to withdraw back to Europe. Maximilian was captured and executed and the war over. The movie does an okay job of explaining the back drop to the war perhaps over stating Napoleon III’s intent to undermine the US and take advantage of the US Civil War. In the movie the French intend to defeat the Mexicans and then join forces with the Confederates thus insuring Confederate independence. I’m sure that France (and Britain for that matter) would not have minded a divided US but would be reluctant to join in a fight where the outcome was doubtful. 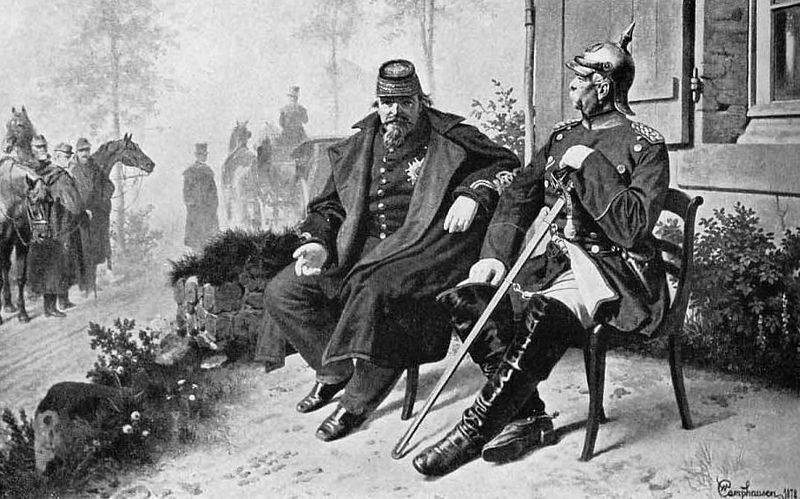 Napoleon III and Otto von Bismarck of Prussia. Napoleon sought Empire in Mexico but found only defeat there and in the Franco-Prussian War of 1870. He was exiled to England after the Franco-Prussian War. The movie focuses on the Battle of Puebla through the eyes of General Sequin as well as a peasant soldier and his love interest. The battle scenes are decent and a bit brutal and the producers seemed to have taken pains to get the uniforms and equipment correct. The main French characters are arrogant and contemptuous of the Mexicans including the ones they are allied with. One French officer in particular is a sadist but he is offset by his sergeant who has a conscience. The French occupation of Mexico was a brutal one. The movie refers to the Mexicans that favor the French as “conservatives” while the Mexicans who remain loyal to Juarez are referred to as “liberals.” Since the “conservatives” are clearly the bad guys I wonder if the producers were trying to make some other point? I’d give the movie 3 stars which is “liked it” on Netflix. The events depicted are little known and the movie serves to inform the viewer that independence can be a fragile thing and costly to preserve. 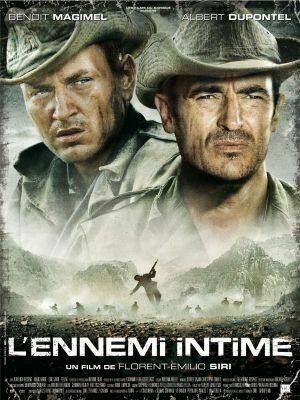 The other movie, Intimate Enemies also involves the French. The war portrayed was the French Algerian War of 1954-62, a war marked by atrocities committee by both sides. The FLN massacred French and Arab civilians and in turn were massacred by the French. It was an incredibly brutal war. After WW2 France sought to regain it’s over seas empire. By 1954 they had lost Indo-China (thus setting up American involvement in the 1960’s) and it’s North African colonies who were demanding independence. Morocco and Tunisia were granted independence but Algeria was not. This led to the FLN (National Liberation Front) fighting a brutal war against the French Army and Algerian units loyal to it. 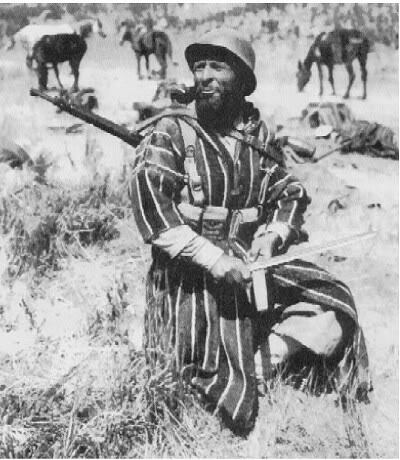 Algeria, Tunisia and Morocco supplied many of the Free French forces that fought in Italy during WW2. It’s worth noting that the bulk of Free French forces on the allied side during WW2 were from France’s North African colonies. Many of the FLN were veterans of the War in Italy and knew their business. Intimate Allies is a good name for the movie because it creates the tension between the former allies very well. As one captured FLN soldier tells his captor, a French soldier like himself who had been Monte Cassino it was like being the middle part of cigarette being burned by France on one end and the FLN on the other. The FLN soldier tells hi captor it’s a bad choice either way. The story revolves around a young lieutenant and his older, more experienced sergeant and the platoon of French Army conscripts they lead. The lieutenant has high moral ideals and he is soon shocked first by the atrocities committed by the FLN and then by the atrocities committed by his own side. The lieutenant argues and debates his superiors in regards to the use of torture but is reminded by them of the vicious atrocities committed by the FLN on both French civilians and Arabs allied with the French. The sergeant seems to take it all in stride but all is not well within himself either. The battles are firefights out in the country side and are as chaotic and shocking as anything I’ve seen with each side ambushing the other without mercy. One incredibly powerful scene involves the French being betrayed and ambushed and then pinned down by the FLN. They are ordered to charge the heights and take numerous casualties in trying. They are unable to take the higher ground and in desperation an air strike is ordered to save them. A French bomber delivers a load of napalm catching the retreating FLN out in the open among the rocks. The survivors of the French platoon inspect the area and are sickened by the carnage wrought by the napalm as they view the blackened corpses of the FLN. The strength of the movie is the ongoing moral dilemmas experienced by the lieutenant and the sergeant. The lieutenant expresses his outrage externally while the sergeant tends to internalize his. This leads to a couple of interesting twists by the end of the movie. France did not even formally recognize that they fought a war in Algeria until 1999. Perhaps the movie was made to inform a public that was and is largely ignorant of the events. I gave the movie 4 stars on the basis of the character development of the two main characters and the moral dilemmas. The acting was great and the sub-titles didn’t hurt it one bit. The movie showed that given the “right” circumstances any army can commit terrible atrocities and it all serves to illustrate once again man’s inhumanity to his fellow-man. I do not know if Mexico is one of them, but the political term Liberal does not have the same connotations in many countries that it has in the USA. The Australian Liberal party is a centre-right one, which is in a permanent alliance, called the Coalition, with the more conservative National Party. There is also a division in some countries between social liberalism (support for gay rights, abortion etc) and economic liberalism (belief in the free market). Almost all supporters of the British Liberal Democrats, the Conservative’s current Coalition partners, are social liberals. Some are economic liberals, whilst others hold generally centre-left economic views, but dislike the influence that trade unions have over the Labour Party. In some countries there are parties whose name translates into English as liberal, but which are economic rather than socially liberal. For example, the main centre right party in Germany until the end of WWI was the Nationalliberale Partei (National Liberal Party). In the context of the mid 19th century the liberals might just be believers in democracy. They both sound like good films, and I will look out for them. Thank you Martin for this great explanation. It should be a blog post! I am real fuzzy on European politics but ‘get’ British politics a bit better than the continent, probably because I ask a question here and there and will read The Telegraph. I find the UKIP movement interesting- maybe I bit like our Tea Party which is not a party. Mexican politics is a complete mystery. US conservatives favor controlled and reasonable immigration while our liberals favor amnesty in a move to buy votes so that was my suspicion. Maybe I’m touchy. I think that maybe in the movie they meant conservatives as favoring the old regime.Thanks again. I should probably edit out that line! to link to as commentary to another blog, I found this review. I saw the movie and at the time, I didn’t know the history of the French/Algerian war nor it’s relevance to all that was happening in the Mideast at the time. Your review really helped me understand. Here is the blog post that prompted me to search for links to the movie. Thanks for stopping by and the kind words. Because of the war in Vietnam I read a few books on the French involvement there prior to ours (Street Without Joy is a classic). That led me to discover the French\Algiers conflict that was going on at the same time. The movie though really brought it home. Thanks again for stopping and the link.